The Bankruptcy Advisory Service Limited was established in 1997 in Hull, East Yorkshire. 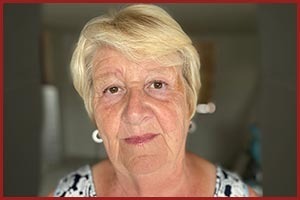 Gill Hankey was, for many years, involved in running an independent advice service covering debt and bankruptcy. She formed the BAS to continue with that work and broaden the services offered, using her vast knowledge and experience to assist those struggling with severe financial problems. When Gill first become involved in Insolvency there was very little help and assistance available to the debtor. Historically UK Insolvency legislation has always been creditor biased. Until the late 80’s / early 90’s there were only a few hundred Bankruptcy Orders made each year. The 1990 recession caused that number to rise to around 25,000 per annum. Annual Bankruptcy figures have remained above 20,000.00 since the 1990 recession and Bankruptcy is now seen as a necessary procedure in today’s capitalist society. Good advice available to those in financial difficulty is, however, much harder to come by, with many less reputable individuals/organisations actively targeting that market, often solely for their own financial gain.